All presentations draw on the power of books and writing, but each is specifically designed for the purpose and audience. Reading associations, for example, may want to focus on the best new books of the year while a parent organization targets books that enhance family communication. A specially designed early reading bibliography encourages preschools parents’ reading aloud, parents confused about Common Core State Standard writing objectives will understand better through a hands-on experience. All events provide an opportunity to slow life down and celebrate the pleasures of reading, writing and community. 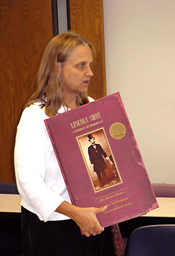 Most presentations come with a bibliography specially-designed for the event. Presentation can be an event based in informative, entertaining book discussions, or encompass both talk and a hands-on element. Fees range from $300-$600 depending on scope of the event. Expenses are not included. Below find some examples. The workshop begins with a presentation of books for young children that encourage reading and thinking. These include a demonstration of books that teach important skills such as prediction, rhythm and rhyme. Other topics covered might be suggest ways to discuss values, helping children over life’s little bumps, and recommended techniques to support children in becoming lifelong readers. An animated presentation of the best books of the year covers everything from baby’s board books to young adult novels. Susie Wilde has a celebrated collection of truly terrible “bad books.” Workshop participants are invited to examine these as well as recent picture books that may or may not be “good books.” Participants’ evaluations lead to the development of a criteria list critical to a book’s success. Parents are the first and most important teachers. In these days when schools are overwhelmed, it’s often up to parents to ensure their children find pleasure in learning. This hands-on examination of books for elementary school students includes playful methods to enhance children’s literacy experiences, and increase the dynamic quality of family reading. What values are important to developing leadership? How do you talk about these? Picture books open wonderful conversations about important facets of life by examining heroes and anti-heroes, their motivations, actions and feelings. This workshop provides time for mothers and daughters to connect through writing. The prompts evoke the past, celebrate the present, explore thoughts and feelings, surprise and delight, and open what could be an ongoing source of communication. 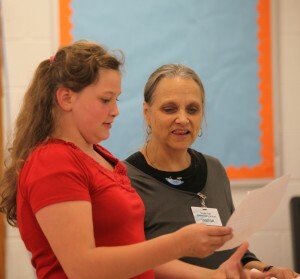 "I had an amazing time at Susie Wilde's workshop at our Decatur Book Festival. She created a warm, fun atmosphere -- her positive energy was infectious! Knowing that she has read and reviewed so many picture books, I trusted her opinion and found her critiques to be very helpful. Now I've got the tools to tune up my manuscripts!" 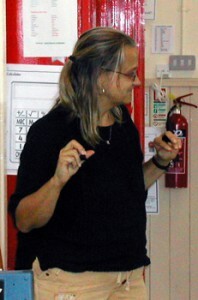 "Susie’s presentations are informative, passionate, and always entertaining. Drawing on a vast knowledge of children’s books, she inspires reading, writing, and an appreciation of both." “Susie Wilde brings stacks of books to her Good Book, Bad Book presentation to illustrate specific qualities essential to understanding and creating successful children's books. Her knowledge is vast & her enthusiasm catching. I can't wait to work with her again!" "My 10-year-old daughter and I uncovered and shared many memories and insights that lasted way beyond the mother-daughter workshop." "I never miss the annual Wilde Awards. How else would I know which books I want under my Christmas tree?" For more information or to book a presentation, contact Susie now. For dates, times and locations of upcoming presentations, check out the Events page.